This News Bulletin describes the details of a proposed hydropower dam project in Ler Muh Lah Township, Tanintharyi Region, Mergui-Tavoy District. 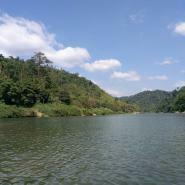 The dam will be constructed on the Tanintharyi River at A--- pool which lies 2.7 kilometres away from Moh Roh village. 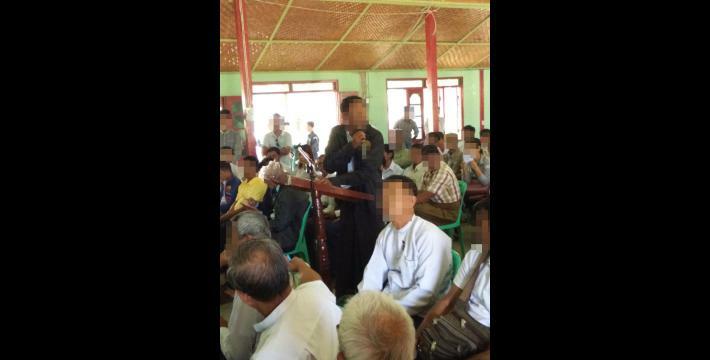 Villagers from surrounding villages do not agree with project and protested during a consultation meeting in February 2017. The assessment for the hydropower dam project was conducted by Nippon Koei Company and the Italian-Thai Development Company. A KHRG staff interviewed one local villager, Saw C---, from B--- village, Ler Muh Lah Township, Mergui-Tavoy District on March 2nd 2017 regarding a proposed hydropower project in Tanintharyi Region. The hydropower project is proposed to be constructed around Moh Roh village on the Tanintharyi River. A local villager from one of the affected villages, Saw C---, participated in a dam consultation meeting conducted by the Thai company Greater Mekong Sub-region Power Public Company Limited (known as GMS Power or GMS) who have taken on leadership of the potential dam project. Other villagers who will likely be impacted by the construction of the proposed dam also attended the consultation meeting. This area of the Tanintharyi River has been marked for a hydropower dam since 1997. An initial assessment for the project had been conducted by Nippon Koei Company in 1997. 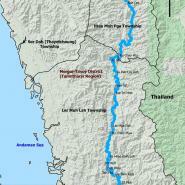 The Italian-Thai Development Public Company Limited (ITD) re-started the potential hydropower dam project in 2012. On February 9th 2017, GMS Power Company arranged a consultation meeting with local community members and representatives regarding the hydropower dam project, showing that they have now taken on the proposed project. Since 1997, the project has involved several different companies. The Nippon Koei Company started to assess the possibility for the potential dam project in 1997. Five years later, in April 2012, ITD Company began another assessment on how the potential project will impact local residents. ITD Company did not consult with any local villagers before they did assessment, including surveying the land for dam construction. This assessment was conducted by ITD Company in 2012 but local residents do not know when the ITD Company stopped their involvement in the project. 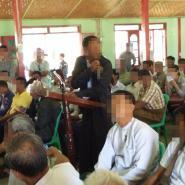 A KHRG community member from Ler Doh Soh Township reported that after the 2012 preliminary ceasefire was signed, the Burma/Myanmar government retracted their permission for the ITD Company to conduct development projects such as the construction of roads and other projects in Tanintharyi Region. Therefore, the dam project has been temporarily on hold since 2012. 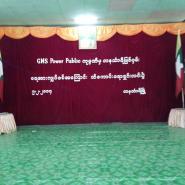 Due to the recent consultation meeting held by GMS Power regarding the hydropower project in February 2017, local community members believe that GMS Power and ITD Companies have been involved and collaborated together with regard to parts of proposed project, although this cannot be confirmed. 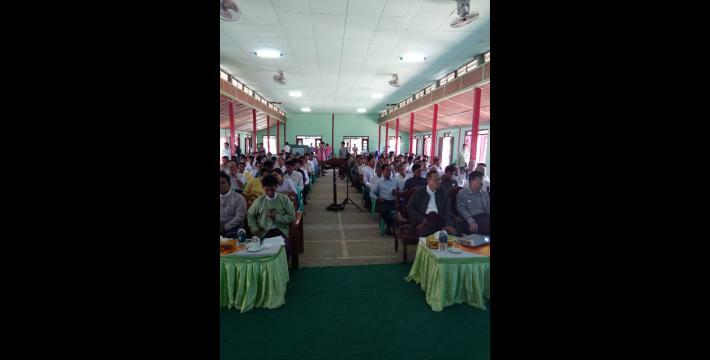 After restarting the project, a consultation meeting was held on February 9th 2017 in Tanintharyi Town Hall. The company invited local authorities and community based organisations (CBOs). The CBOs further invited representatives from the 18 villages nearby the proposed dam site who might be affected to attend. Unfortunately, not many affected villagers had chance to join this meeting so only some representatives from the 18 potentially affected villages were able to attend the meeting. Other villagers were unable to attend because of the financial problems they faced to cover the cost of travelling to attend the meeting, and the distance to travel to the meeting place which was very far from some of the villages. In the meeting, the Minister of Electricity from Burma/Myanmar government who had previously accompanied ITD Company during their assessment in 2012 was also present. The research and assessment conducted by ITD Company in 2012 was presented by GMS Power Company in the consultation meeting. The company elaborated that the proposed hydropower dam project has the capacity to produce 1040 megawatts (MW) of electric power from the Tanintharyi River. The level of water will flood an area around 585 square kilometers, including 250 square kilometers of plantation land. The dam will be constructed 2.7 kilometers away from the upper part of Moh Roh village. According to the ITD Company assessment from 2012, the project will likely cause the destruction of 14 villages, most of which are located upstream. 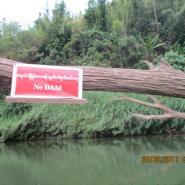 There will be smaller holding dams built further upstream away from the main proposed dam site near Moh Roh village. There are around 879 households and the number of villagers is around 4500 within these 14 villages. The GMS Power Company has not confirmed how big the affect will be on both the environment and the community. 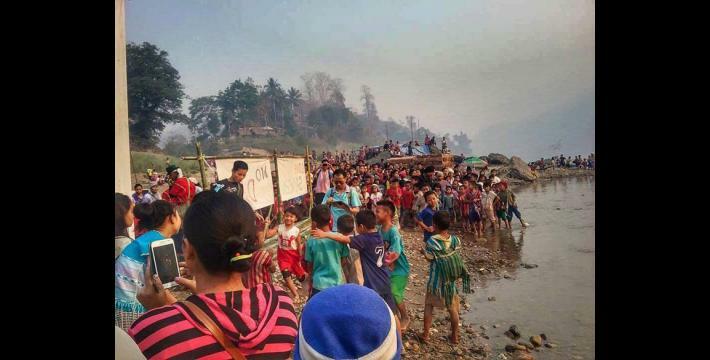 According to local community member from B--- village, the project could potentially destroy around 18 villages which are Moh Roh, Ta Moo, Da Baw Kloh, Pa Htoo Kloh, Ler Hpa Doh, Deh Plaw, Teh Hta, Bu Thaw Plaw, Per Kuh, Naw Tel, Toe Teh Htat, Ta Peh Lay Koh, Maw Hta, Ka Del, Ka Chay Hta, Ka Sel villages and other two unknown villages. The GMS Power Company plans to start carry out the project in 2017, in collaboration with private and public partnerships, labeling the project as a Public-Private Partnership collaboration. According to Saw C---, the GMS Power Company had not done a new assessment instead they used the research which was done by ITD Company in 2012. The assessment done by ITD stated that only 14 villages will be affected but in the five years since ITD Company conducted research, 4 more villages have been established in the area, taking the number of potentially affected villages up to 18. The GMS Power Company plans to implement the project according to their procedure that they officially announced in they consultation meeting. 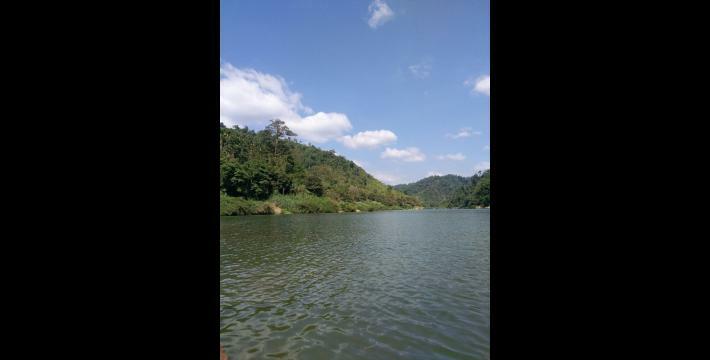 They said that they will manage bio species in the area sustainably, and will build the dam mindfully and wisely. 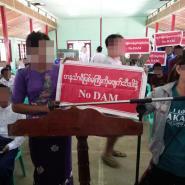 For the assessment for the company to build the dam, GMS Power said that they had three types of research: firstly, the previous potential impact assessment, secondly a possibility assessment and thirdly, community and environmental (impact) assessments. They stated that this assessment will also identify direct and indirect victims who will be affected by the dam who live around the proposed project site. The company promised during the consultation that they will prioritise support for the affected victims, although they did not clarify what type of support. They promised to collect data to document the information of any victims of flooding caused by the dam, but they did not say how they will take action after they have the documentation. In the consultation meeting, they also stated that the project will benefit local civilians in terms of opening up a gateway for more business and provide job opportunities. 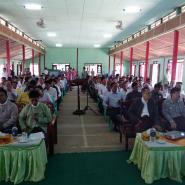 The GMS Power Company during the consultation presented that the project will decrease the poverty rate of local people in project area and solve the problem of electricity in Myanmar. The company also testified that the project will benefit not only private companies who are involved, but all citizens of Myanmar. The villagers who are likely to be most affected by the project are those working on plantation, hill and plain farms in the local area. Saw C--- stated that villagers had already been affected in the initial construction of roads in the project area by the ITD Company. In order to get into targeted areas in Tanintharyi River during its assessment in 2012, ITD Company constructed roads for equipment transportation. This damaged villagers’ land which had been passed down to them for generations, and their plantations such as betel nuts, durians, and coconut trees were destroyed. Local residents have concerns that if dam construction goes ahead, villages which are located around the project site will be flooded. Moreover, not only their homes but also their land and working sites will be flooded. According to Saw C---, “They told us that there will not be much serious destruction even if they construct the dam. They also promised us support for the dam project’s victims. They only say this with their words, in practice we do not trust them easily. They haven’t done as they have promised [so far].” Villagers express their concerns also about the lack of information they have, as GMS Power Company has said they plan to construct a dam but, according to Saw C---, they did not tell villagers when they will implement the project. The villagers around the project site do not agree with the project and therefore they protested against the project during the consultation meeting on February 9th 2017. The villagers’ reason for protesting is if the project is implemented they predict that it will negatively impact them. If or when they are impacted, villagers also do not know how GMS Power Company will compensate them if they have to relocate from their homes. They worry that they will have no land to do farming on and for raising their livestock to earn their living when the dam has been completed. 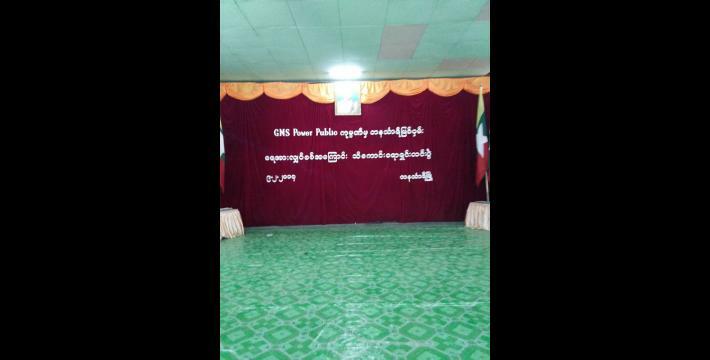 In the meeting, most of the participants from local villages therefore stated that they did not agree with project. Saw C--- reported that, “We attempted to protest against them but if they are serious about implementing the project, we have no idea how the stop them”. 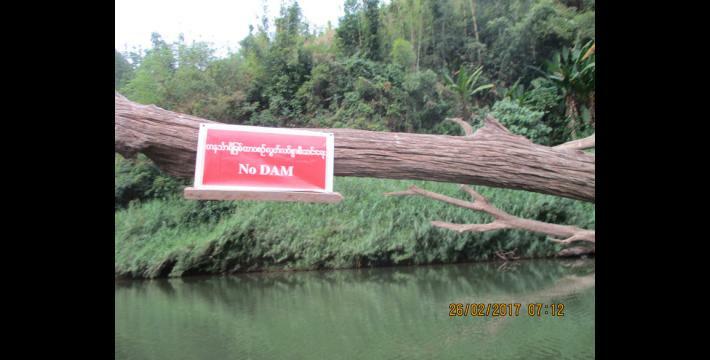 Adding to villagers concerns that they cannot halt this development, a community member from Ler Doh Soh Township noted that the KNU chairman Saw Mutu Say Poe had signed a Memorandum of Understanding with companies to proceed with development and industrial projects including dam construction on the Tanintharyi River in Mergui-Tavoy District on December 13th 2016. The development of a hydropower dam project is a serious concern for residents who live around the project site in Ler Muh Lah Township. It is likely that villagers will be forced to relocate from their villages if the hydropower dam project is completed. The livelihood impact of losing of land and their villages is the major concern for them. Even if the GMS Power Company promises to compensate the project’s victims, villagers do not trust that there will be fair compensation, and do not believe that the disruption and destruction of their villages, family land and livelihoods can be compensated. This News Bulletin was written by KHRG office staff and is based on information from community members from Mergui-Tavoy District who has been trained by KHRG to monitor local human rights conditions. It summarises information from two interviews and one other document received by KHRG on March 2nd 2017. In order to increase the transparency of KHRG methodology and more directly communicate the experiences and perspectives of villagers in southeast Burma/Myanmar, KHRG aims to make all field information received available on the KHRG website once it has been processed and translated, subject only to security considerations. For additional reports categorised by Type, Issue, Location and Year, please see the Related Readings component following each report on KHRG’s website. Italian Thai Development Public Company Limited (ITD) is a Thailand-based company with investments in the construction of highways, railway, dam and industry in Myanmar and other parts of Asia. 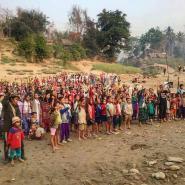 ITD construction projects have resulted in relocation of villagers, the destruction of plantations and a lack of compensation for affected villagers in southeast Myanmar, see “Mergui-Tavoy Interview: Saw E---, July 2012,” KHRG, March 2013. ITD also have investments in the Dawei Special Economic Zone (SEZ) which began as a joint venture with Max Myanmar Company; Max Myanmar have since withdrawn their economic involvement in this SEZ. 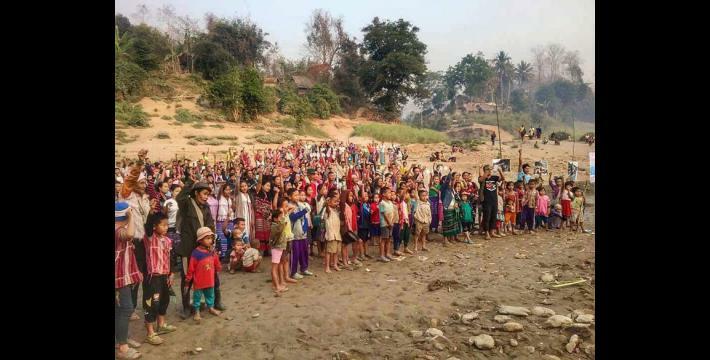 The Dawei SEZ has resulted in threats and forced evictions of villagers, imprisonment of villagers who refused to relocate, destruction of livelihoods through environmental damage, villagers being forced to accept inadequate compensation, and much more. See “Dawei SEZ Fact Sheet,” Mekong Watch, December 2016. KHRG is currently following up on why Nippon Koei Company stopped the project after this assessment. KHRG is currently following up on the details of this ‘possibility assessment’. 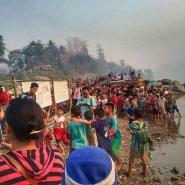 The promise that development such as hydropower will bring economic benefit and employment to the local community was also made by Asia World Company during the building of Toh Boh dam, which resulted in large scale displacement and economic loss to villagers. The company did not implement the promise for employment or economic benefit they had made with affected villagers. For more information see “Toungoo Interview: Saw H---, April 2011,” KHRG, September 2012. The benefit of electricity generated by hydropower projects in Myanmar has not been shared equally for affected communities, as the electricity generated is often intended for urban supply or overseas sale. 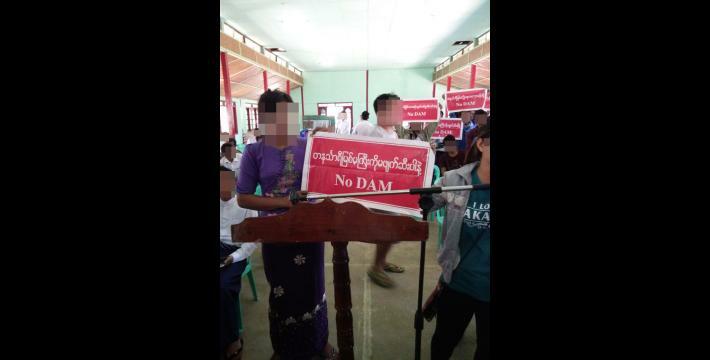 See, “HYDROPOWER IN MYANMAR: FOR WHOSE BENEFIT?” Progressive Voice, December 16th 2016 and “Lemro Dam Project Not to Benefit Chin Locals in Paletwa Township,” Chinland Guardian, April 7th 2012. Civil society groups strongly disagreed with this Memorandum, see, “Tanintharyi Development Projects Must not Proceed without Transparency and Accountability” December 2016.